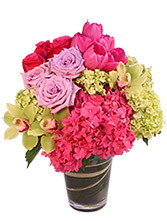 GET WELL FLOWERS Prince George BC: AMAPOLA BLOSSOMS Flower Roses and Gifts Prince George BC. 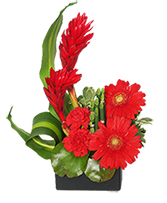 "Flowers" | "Florists" Flowers Prince George BC Canada: AMAPOLA BLOSSOMS. Prince George BC. Get Well Flowers Prince George BC. Prince George BC Get Well Flowers: Prince George BC Birthday Flowers, Anniversary Flowers, Baby Flowers, Just Because Flowers, AMAPOLA BLOSOMS FLOWERS, ROSES, Gifts, Chocolates, Gift Baskets Prince George BC. Flowers in Prince George BC: AMAPOLA BLOSSOMS. Prince George BC Flowers. 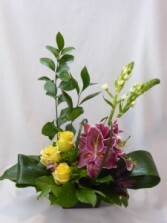 Prince George BC Florists: AMAPOLA BLOSSOMS. Florists Prince George BC: AMAPOLA BLOSSOMS. Canada Flowers, Flowers Canada, Flowers - Flowers Prince George BC: AMAPOLA BLOSSOMS. AMAPOLA BLOSSOMS: Prince George BC Get Well Flowers. AMAPOLA BLOSSOMS: Florists Prince George BC. Flowers - Flowers Prince George BC: AMAPOLA BLOSSOMS. Florists - Florists Prince George BC: AMAPOLA BLOSSOMS. Prince George BC Tropical Exotic Flowers - AMAPOLA BLOSSOMS. Tropical Exotic Flowers Prince George BC - AMAPOLA BLOSSOMS. 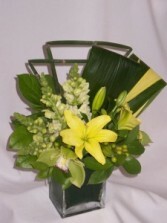 Authentic Floral's Prince George BC AMAPOLA BLOSSOMS. Prince George BC Authentic Floral's - AMAPOLA BLOSSOMS. Fresh Flowers & Gifts Prince George BC: AMAPOLA BLOSSOMS. Prince George BC Fresh Flowers & Gifts. AMAPOLA BLOSSOMS: Fresh Roses & Gifts Prince George BC: AMAPOLA BLOSSOMS. Prince George BC Fresh Roses & Gifts: AMAPOLA BLOSSOMS. 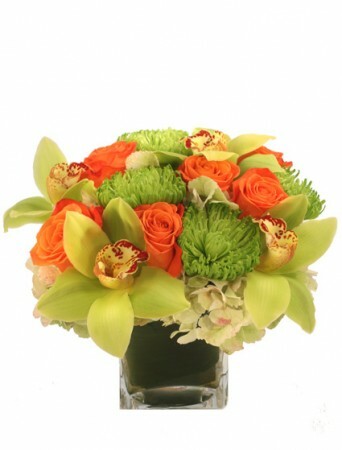 AMAPOLA BLOSSOMS: Roses For You! Prince George BC. AMAPOLA BLOSOMS: I love You Roses! Prince George BC. 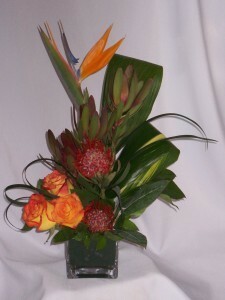 AMAPOLA BLOSSOMS: Modern Tropical Flowers Designs Prince George BC. 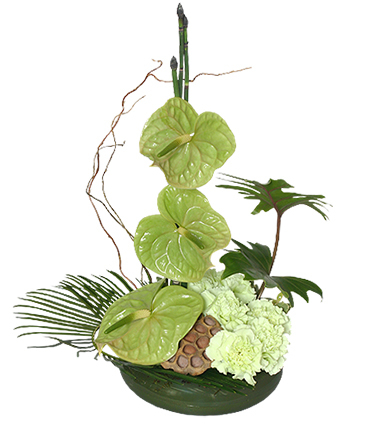 AMAPOLA BLOSSOMS: Prince George Modern Tropical Designs. Cylinder Vase, Foliage: Aspidistra Leaves, Willow Eucalyptus, Lavender Roses, Dark Pink Carnations, Pink Novelty Tulips, Hot Pink Mini Carnations, Magenta Button Poms, Magenta Gomphrena. 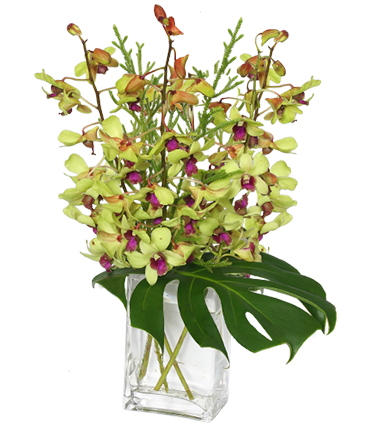 Make your sweetheart blush with a perfect expression of love and affection from AMAPOLA BLOSSOMS FLOWERS. 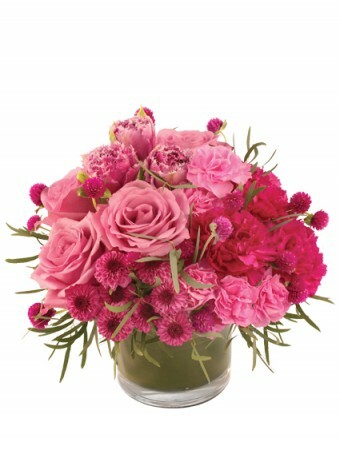 Blushing Love is a sweetly pink floral arrangement, featuring romantic roses, carnations, tulips, mini carnations and a mix of other magenta blooms. All Occasion Flowers Prince George BC. Thanksgiving Flowers Prince George BC. Prince George BC Thanksgiving Flowers. 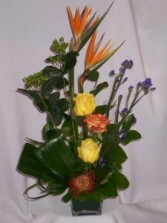 Flowers Delivery PG. 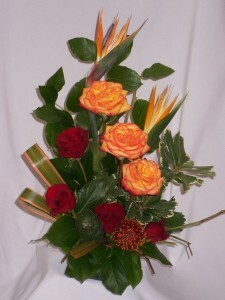 PG BC Flowers. Flowers PG BC. Canada. 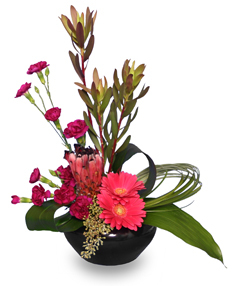 Black Plastic Design Bowl, Wet Floral Foam, Pink Mink Protea, Raspberry Gerberas, Safari Sunset Leucadendron, Fuchsia Mini Carnations, Aspidistra Leaves, Blades Of Bear Grass Looped, Seeded Eucalyptus Tip. 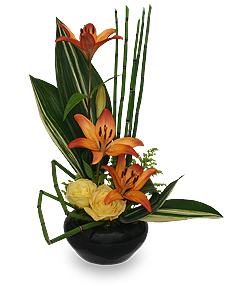 Black Plastic Design Bowl, Wet Floral Foam, Foliage: Variegated Aspidistra Leaves, Orange Asiatic Lilies, Pale Yellow Roses, Solidaster, Equisetum I(Horsetail)i. 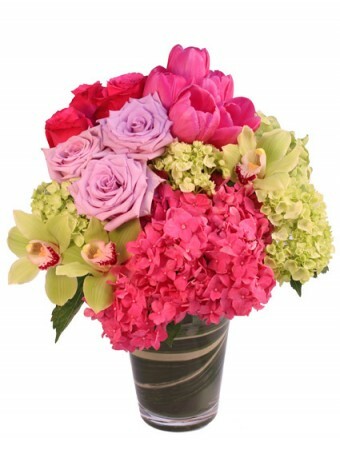 Show your love and appreciation this FATHER'S DAY by sending Dad a colorful gift of flowers. This eye-catching arrangement is sure to brighten his day, as well as his desk at home or the office. 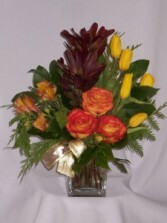 Call AMAPOLA BLOSSOMS FLOWERS or order Father's Day flowers online for that special man in your life! 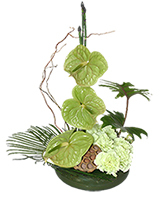 Gold Cylinder Vase, Wet Floral Foam, Foliage: Seasonal Evergreens (Cedar & Holly), Red Celosia (Coxcomb), Red Carnations, White Miniature Spray Roses, Green Trick Dianthus, Green Cymbidium Orchid Blossoms. 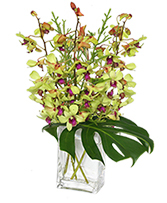 This wonderful winter arrangement brings the WOW with orchids, mini spray roses, dianthus, carnations and coxcomb flowers.